Tropical Cyclone Veronica continued to move toward Australia’s Pilbara Coast in Western Australia. NASA-NOAA’s Suomi NPP satellite provided visible and infrared images of the storm that indicated heavy rainfall. The Australian Bureau of Meteorology, or ABM updated warnings on March 22. The Warning zone extends from Wallal Downs to Mardie including Port Hedland, Karratha and Barrow Island. The Watch zone extends to the inland Pilbara to include Pannawonica, Marble Bar and Nullagine. Shortly after the Suomi NPP satellite passed over the storm, the GCOM-W1 satellite also flew over Severe Tropical Cyclone Veronica. 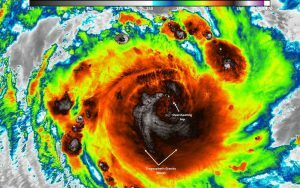 “The Advanced Microwave Scanning Radiometer or AMSR2 instrument aboard GCOM-W1 showed a completely enclosed eye as well as the convection around the circulation,” Straka said. The microwave instruments provide critical information that is not seen by the infrared or visible imagery for forecasters. As of 9:02 a.m. EDT (9:02 p.m. AWST local time) on March 22, Severe Tropical Cyclone Veronica was a category 4 storm on the Australian scale. 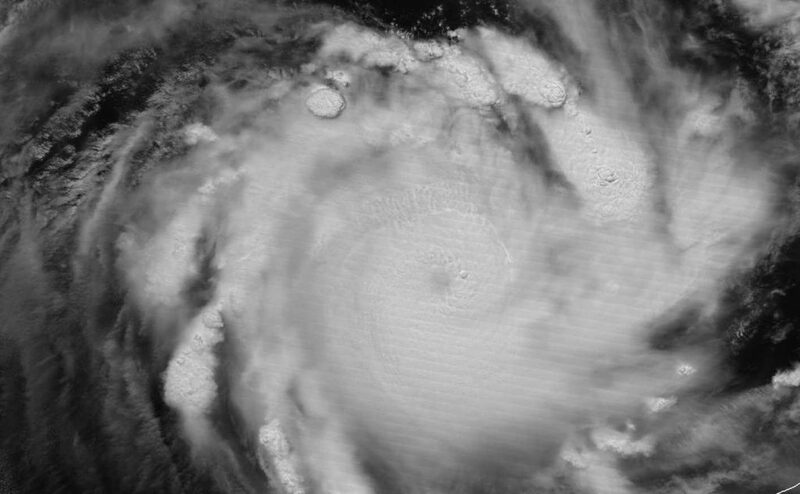 Veronica had sustained winds of 175 kilometers per hour. It was centered near 17.9 degrees south latitude and 116.9 degrees east longitude about 315 kilometers north of Karratha.